Cannabis legalization is emerging at a time when consumers expect more from retail. The impact of online shopping has resulted in everyone from tiny boutiques to traditional retail establishments understanding that customers want to be lured by a pleasant shopping experience. Whether a cannabis store is opening in a fresh legal market or expanding its consumer base from medical to recreational clients, retail owners must be intentional about creating environments that are more than getting people to buy something. In this post, we describe the 3 key areas in which dispensary owners should focus their efforts when creating a memorable cannabis shopping experience for customers. Long gone are the days of the classic headshop where a little incense and some Bob Marley were all that was needed to create a vibe. Now, every decision a cannabis retail owner makes – from the way the shop is decorated and organized, to how staff engages with customers – ultimately helps shape an atmosphere that must be able to appeal to clients while also staying authentic to your brand. When working toward developing a branded dispensary experience, business owners must be prepared to make decisions that are consistent with their store’s mission. On the most basic level, the brick and mortar retail location must be in alignment with the shop’s website and social media presence. Not only that, your staff is a reflection of your brand, so you want to hire budtenders and managers that support the shop’s vision and purpose. Retail owners will want to also consider the flow of store traffic, especially when business is booming. Putting into place tools like a solid cannabis dispensary POS, and integrating systems like a separate line for online order pick-up can improve the ambiance by making customer transactions quicker and smoother, especially if you’re dealing with limited space. As important to the physical store environment is keeping your target customers in mind. For example, a modern aesthetic and stark lighting might resonate more with a high-end professional clientele, whereas a medical patient community might appreciate casual couches and warm wooden finishes. When it comes to choosing music for your retail operation, do you want clients to hear questionable lyrics and commercial interruptions as they shop? Music is supposed to enhance the retail experience, not serve as a distraction, which is why being intentional about everything from music genre to streaming method can make a huge impact. A poor performing POS system can be a liability to a cannabis retail business. It creates more manual work for your staff and subsequently, an increased likelihood of human error, which could be highly problematic for a business that is required to report sales and inventory data to the government. Slower processes also mean your clients are spending more time in line than they are perusing the merchandise or being served by staff. But a good quality POS system helps nurture a pleasant shopping experience by enabling your shop to run more smoothly. The right cannabis POS solution puts product and consumer information at every budtender’s fingertips – no need to rely on a single terminal or overstuffed binder to access strain details or a client’s order history. Activating features like a dispensary touchscreen menu can help customers to be more interactive with your store while also making budtenders’ lives easier, enabling them to focus less on temperamental tech and more on engaging with clients. And your dispensary’s POS software is only the beginning; there are plenty of tools that can help your staff address customers’ needs quickly and accurately. 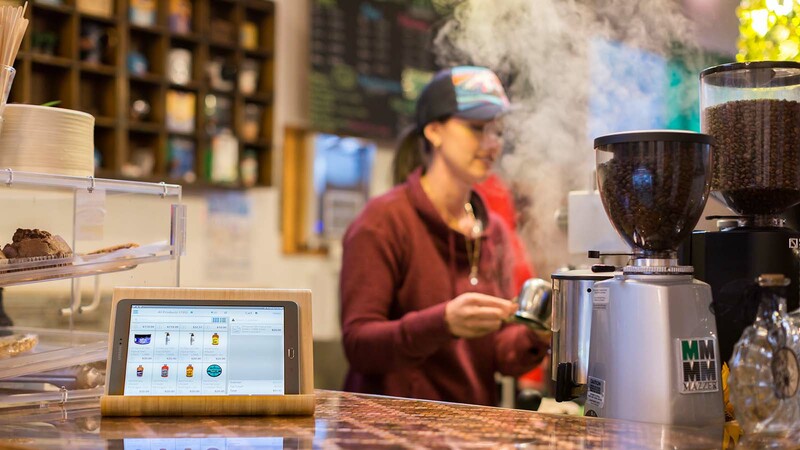 Linking POS wirelessly with tablets gives your budtenders access to consumer and product information quickly from anywhere in the store and at every stage of a customer’s shopping experience, not just behind the cashwrap when clients are ready to check out. Plus, the explosive growth of the cannabis industry means more retail tools are becoming available every day. From strain info to HR solutions to third party delivery, there’s no shortage of options for retailers seeking ways to tighten up operations and offer the best possible experience for their customers. This goes without saying, but customer service is critical to the success of any retail operation. And in this area, cannabis retailers have a little more to contend with than operators in traditional industries because there’s a huge educational component. Not only that, but the law requires budtenders to be able to provide advice without actually making recommendations. Implementing customer service best practices can help create guidelines for your staff to properly address clients’ needs. A framework that specifies hiring personnel with real cannabis experience, encourages budtenders to refer to regular clients by their first names, and positions the dispensary as a community resource for educational workshops helps set the tone and makes it easier for managers and staff to provide the level of service your clients deserve. Retail owners must also remember the consumer population that is visiting their first dispensary. Maybe they’re new to cannabis or haven’t tried it in years, even decades – either way, cannabis newbies are looking to you and your staff to tell them everything: from personal experiences with products, to what’s legal, to whether a myth they’ve heard is fact or fiction. Even the most experienced budtender must be able to educate beginner and expert consumers alike with the facts, address their questions and ease their concerns all the same time. When it comes to customer service, retail owners also have to be prepared for anything. Dispensaries are already major focal points in their communities because of the industry’s prohibition history and the nature of the products being sold. Making sure staff is skilled enough to clarify misinformation, serve impatient customers, or deal with intoxicated clients as professionally as possible helps demonstrate your shop’s ongoing commitment to customer service. Looking for more ideas and tips to help your cannabis dispensary’s operations? Subscribe to our blog today!